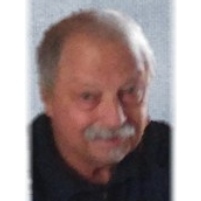 Jeffrey Scott Kirkbride, 68, of Zanesville passed on Monday, July 23, 2018 at his home. He was born on Wednesday, October 12, 1949 in Zanesville, Ohio the son of Walter and Lillian Eileen Riggle Kirkbride JR.
Jeffrey was an Army veteran of the Vietnam War. He enjoyed making money, helping people, playing pool and cards, and listening to Rhythm and Blues music. Jeff had a love of all sports, and his favorite quote “Dreams cost money”. He is survived by three sisters; Ardath Tandy Kirkbride McMahon, Kathy Jo (Stephin) Folden, and Kimberly Ann Kirkbride and many nieces, nephews and cousins. Jeffrey was preceded in death by his parents. Friends may call from 10:00 to 11:00 A.m. on Friday, July 27, 2018 at the Bryan and Hardwick Funeral Home, where funeral service will be held at 11:00 A.M. with Celebrant Jeff Hardwick officiating. Burial will conclude at the Zanesville Memorial Park. The Bryan & Hardwick Funeral Home, 2318 Maple Ave. Zanesville is in charge of the arrangements. To share memories and condolences with Jeffrey’s family please visit www.BryanHardwickFH.com.